The human origin story has to be change again? The new discovery of stone tools and cut animal bones that is dated 2.4 million years ago in Algeria may be change the human origin story. Archaeologists in Algeria discovery makes the question East Africa's title as the cradle of humanity into a doubt. The tools that found here closely resemble those found in East Aftrica named Oldowan. The tools maybe use of prehistoric butchers as dozens of animal bones fossilized with cut mark found around within. The bones are from the animals including elephants,crocodiles and hippopotamuses. 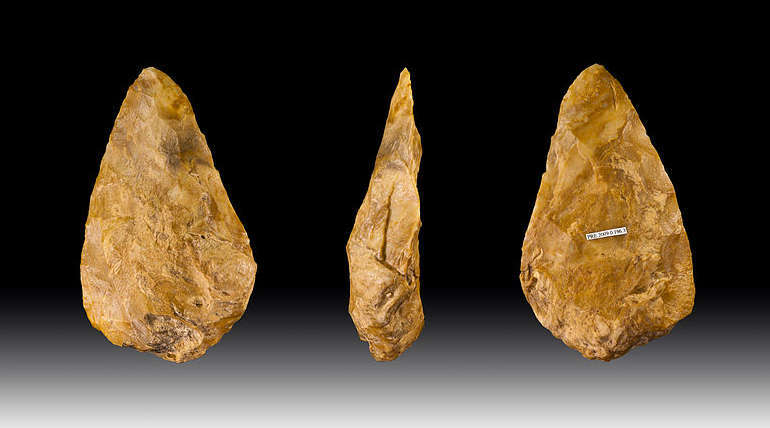 East Africa is considered to be the birthplace of stone tool use by our ancient hominid ancestor far now which are the earliest examples of which date as far back as about 2.6 million years ago. But the new findings make Ain BoucheritTizi Mahdi, Algeria as the oldest site in northern Africa. The evidence of hominid meat use with associated stone tools and they suggest that other similarly early sites could be found outside of the Eastern Africa area." Among the early ancestors of modern day humans, hypothesis are only species quickly carried stone tools with them in African belt and too other continents also. Another prediction is early hominids made and used tools in both East and North Africa. The dig was undertaken by experts from reputed research institutions from Europe. "Now that Ain Boucherit has yielded Oldowan archaeology estimated to 2.4 million years ago, Northern Africa and the Sahara may be a repository of further archaeological materials," the study said. "Based on the potential of Ain Boucherit and the adjacent sedimentary basins, we suggest that hominid fossils and Oldowan artifacts as old as those documented in East Africa could be discovered in North Africa as well." the researchers suggests.